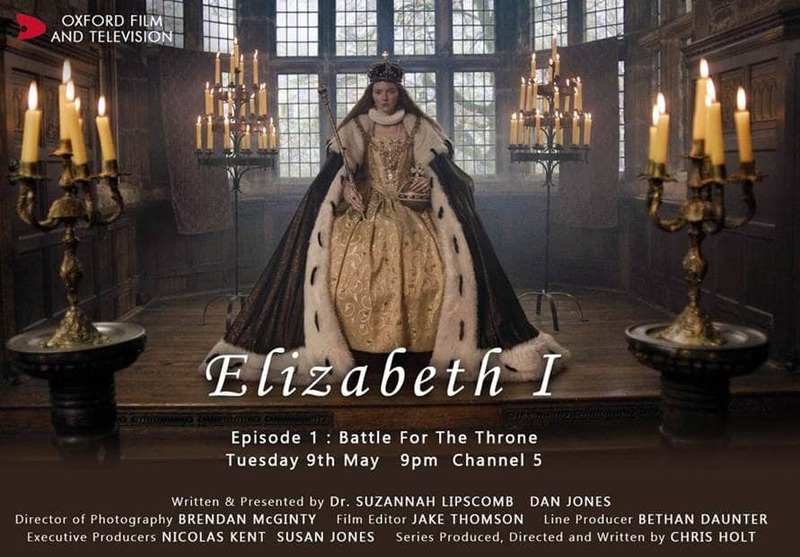 In May 2017, Suzannah Lipscomb and Dan Jones presented their new three-part docudrama on Elizabeth I. Co-written by the presenters and director Christopher Holt, the show starred Lily Cole and Felicity Dean as Elizabeth I. It was Pick of the Week in The Guardian, The Daily Telegraph, The Daily Mail, among other papers. The Daily Mail covered the new series in their article Elizabeth’s death-defying life. All About History interviewed Suzannah Lipscomb and Dan Jones about their new series. Suzannah wrote a piece for BBC History Magazine, considering the evidence of whether Thomas Seymour sexually abused the teenage Princess Elizabeth. You can watch a trailer of the series. The series was made by Oxford Film and Television, the series producers were Nick Kent and Susan Jones, and the Director of Photography was Brendan McGinty. Where in the US can I watch? I cannot stream online. Thank you.